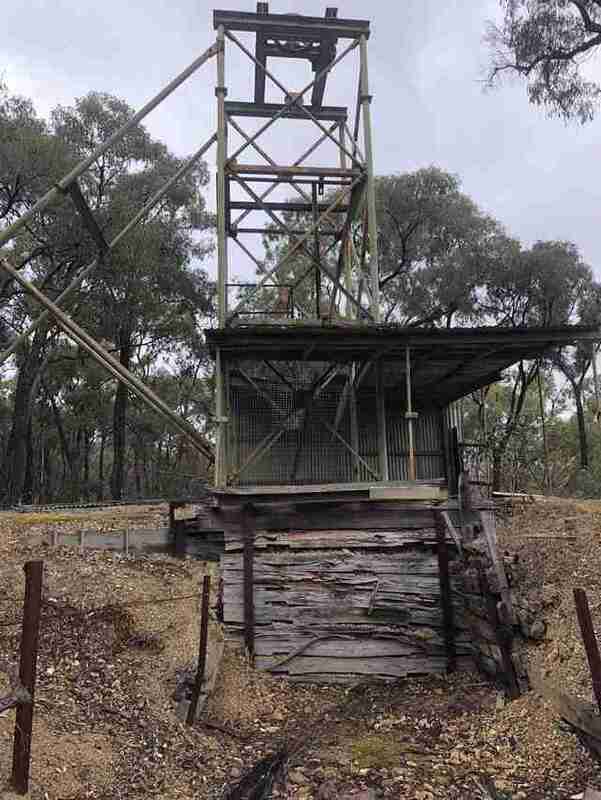 An old abandoned mineshaft in Victoria, Australia, ended up swallowing a very scared wild animal who probably would have died without the determined help of some kind people. 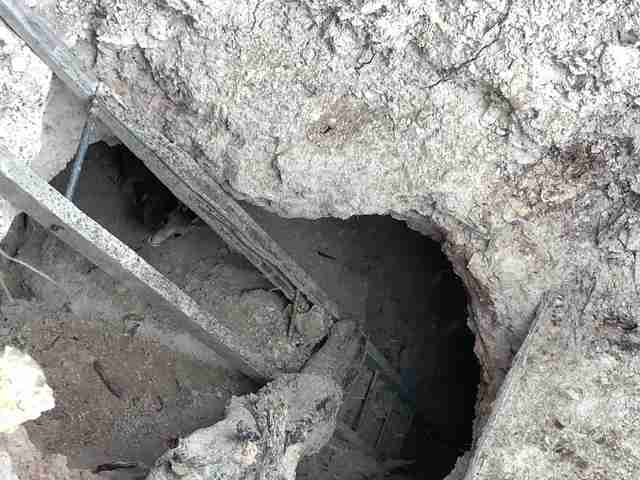 "The shaft was in poor condition with much evidence of erosion and cave-ins," Manfred Zabinskas, cofounder of Five Freedoms Animal Rescue (FFAR), wrote on Facebook earlier this week. "Timber supports were rotted and a ladder laying on the ground had lost most of its rungs through years of deterioration." Despite the dangers, Zabinskas knew he would have to go down there. Someone had alerted him to a trapped animal who had taken a wrong step — or, rather, hop. And Zabinskas has devoted his life to helping in such cases. 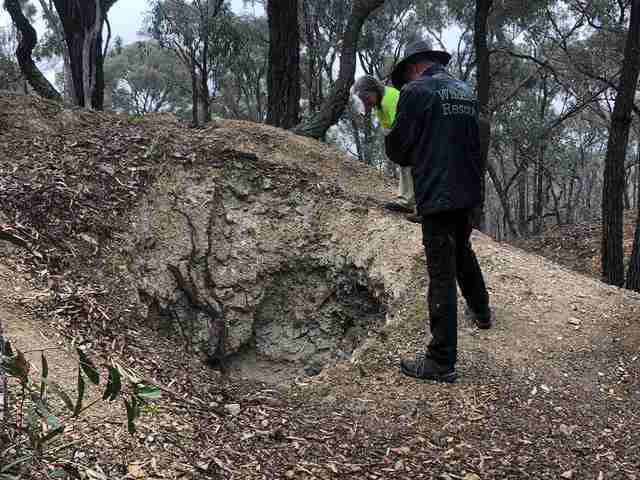 When Zabinskas arrived at the scene, over an hour away, he peered down the shaft and caught a glimpse of the animal — one of Australia's iconic species. 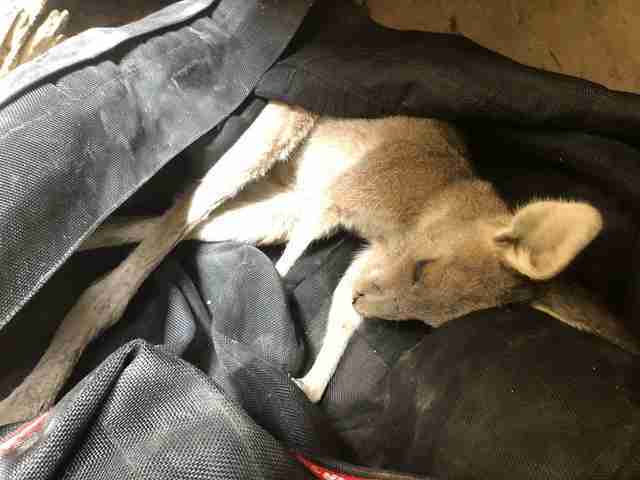 "There was a poor little kangaroo peering up at us with an expression of desperation and fear. Heavy rain was minutes away and this was not a shaft I wanted to be down once the heavens opened up," Zabinskas wrote. 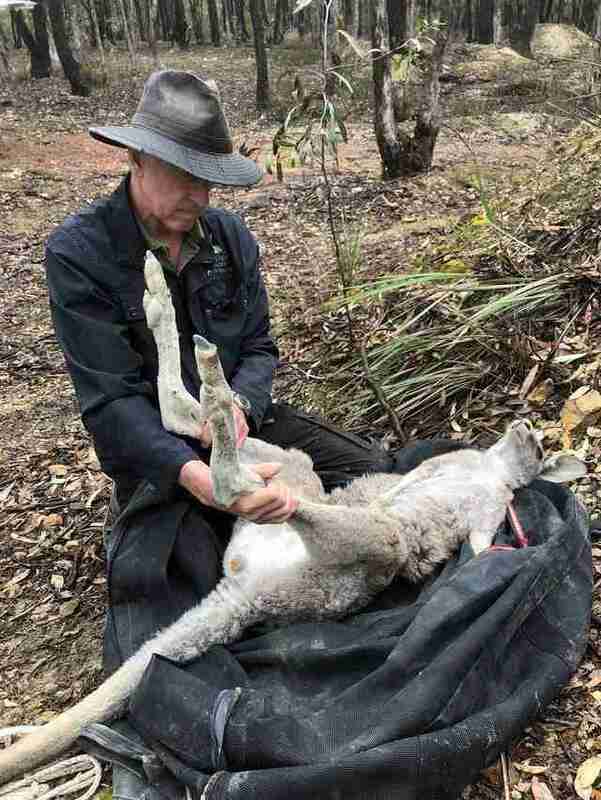 "This was an urgent rescue." 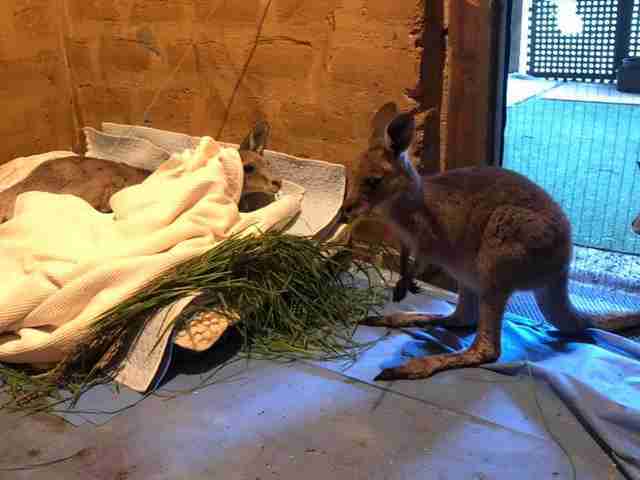 Zabinskas wanted to try to sedate the little kangaroo before getting close to her and trying to lift her out of the mine. If she panicked, it could be very dangerous for both him and her. Zabinskas and his team positioned a ladder to go down the mineshaft. That's when it started to rain and everything became much more slippery. They needed to work fast. 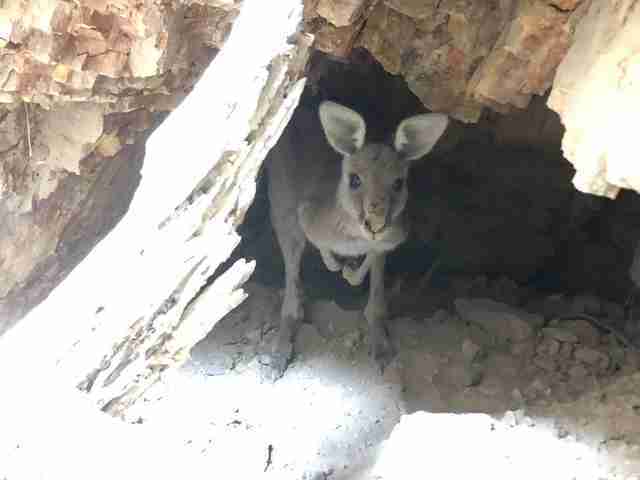 But the scared kangaroo had nestled back into a little cave, which made things more complicated. "That made it impossible to dart or pole syringe her before descending," Zabinskas wrote. "The overhang above her head had crumbling soil and looked very unstable." Zabinskas had no choice but to go down into the mine right then and there. "I climbed down the ladder and blocked her passage that led further down the mine," Zabinskas wrote. "She looked to flee past me but I managed to restrain her with a hoop net while I injected her with a short pole syringe." He tried to stay calm — but it wasn't easy down in the unstable shaft, as rain was falling. "She was terrified," he wrote. "I wasn’t all that relaxed myself and was keen to get out of that shaft." The sedative helped move things along. Zabinskas worked fast to put the kangaroo in a bag and carry her up the ladder. Thankfully, she was in pretty good shape. 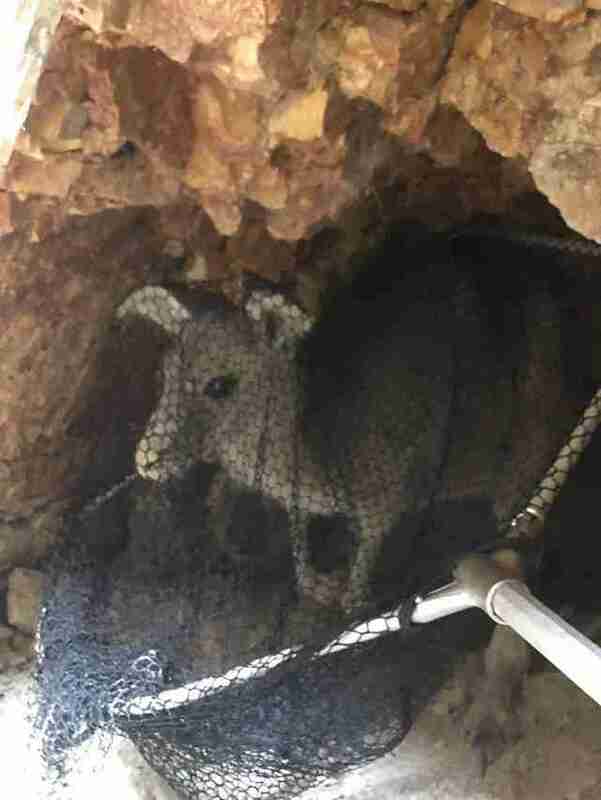 "I don't think she was down the mineshaft very long as there wasn't any droppings and she wasn't dehydrated," Zabinskas told The Dodo. 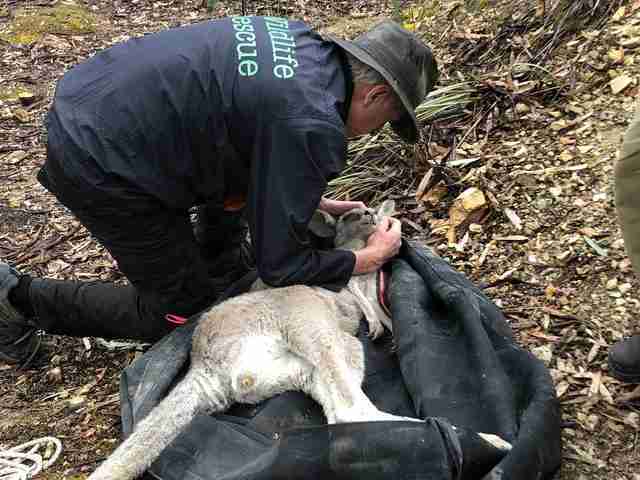 The kangaroo didn't appear to have any major injuries, but she still needed to be taken to FFAR for observation and to rest from her ordeal. 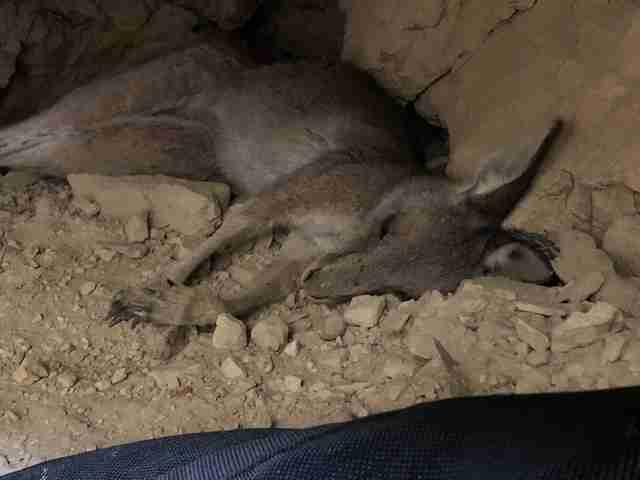 "We have named the kangaroo Alice, after Alice in Wonderland who similarly went down a hole, and it’s a wonder she is alive," Zabinskas wrote. Once back at the rescue center, Alice was given fresh snacks and water, as well as a blanket to help her feel safe. 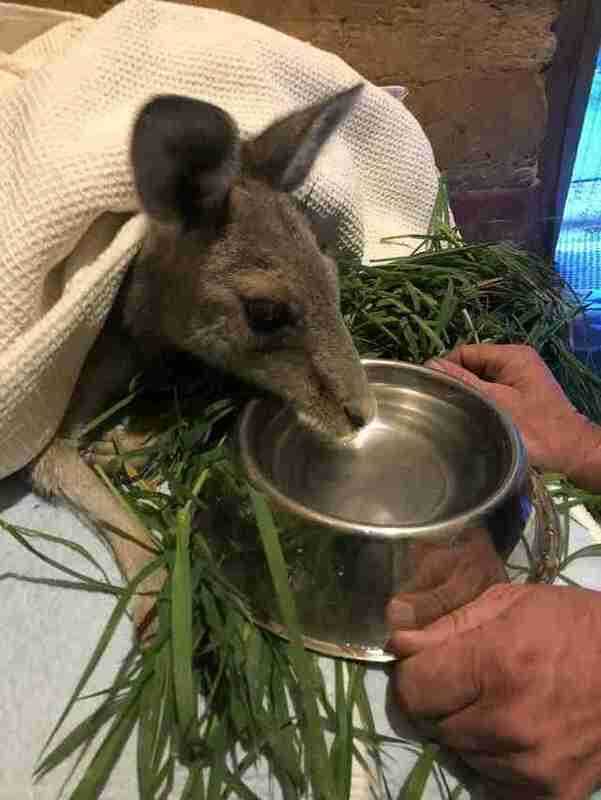 It's uncertain how long Alice will need to rest before being set free again, and rescuers want to make sure she's strong enough. Currently, Alice is already attracting some attention from other rescued friends. 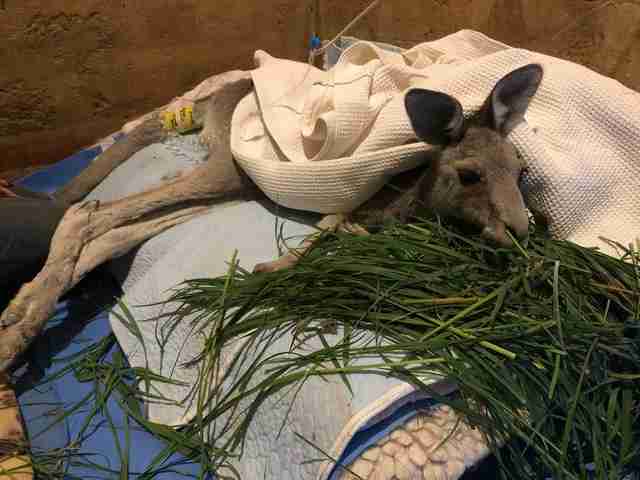 "Some of our guys think Alice needs help to get through that big pile of grass," Zabinskas wrote. "I'm not sure Alice agrees." You can help FFAR save more needy animals like Alice by making a donation.